Posted on September 16, 2015. If you’re building up your online presence to sell your products or services and are ready to begin accepting credit cards, the variety of options, terms, and programs can be confusing. 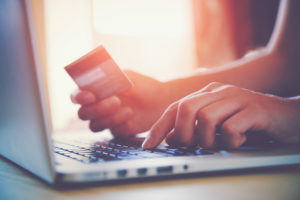 Two main components of an e-commerce payment processing platform are known as a payment gateway and a shopping cart – these two components are often confused for one another. A payment gateway is like an online point-of-sale terminal for your business – its job is to securely authorize online payments for e-commerce websites. While most are commonly used within the Internet realm, it can also be used in a brick-and-mortar retail setting with a swipe reader. A payment gateway has tw o functions: 1) to transmit the credit card information securely to the payment processor, and 2) to transmit the approval code and any confirmation details back to your shopping cart program. While the goals are similar, the functions of a shopping cart and a payment gateway are very different from one another. 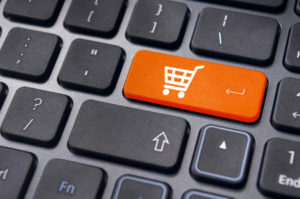 A shopping cart can be considered the virtual equivalent of a grocery cart you wheel through the store. Just as you would at the store, you put your desired products into the cart and wheel it to the cash register, which then tallies the total cost of your goods. This is exactly what an online shopping cart does, adding the total cost of your goods, adds in delivery fees and appropriate sales tax, and subtracts any discounts – thereby displaying the total amount due to the consumer. It’s important to understand that many components of e-commerce and credit card processing work together and are often integrated into an “all-in-one” solution. Shopping carts or reservation systems need to be integrated to a payment gateway in order for client to use said shopping cart and PG. Each gateway has its own method of connection (usually via API) so each shopping cart needs to be programmed and tested with that gateway. First Atlantic Commerce also works with custom engines and integrates to any other systems that our merchants require. For more information on our payment gateways and shopping carts, don’t hesitate to contact us today at 441-296-5598.